A Personal Tech is able to fix just about any problem you can come up with. Please contact us if your issue is not listed below. Remember, even if you don't see your issue listed above, please email, call, or fill out an online service request and we will get back to you quickly. 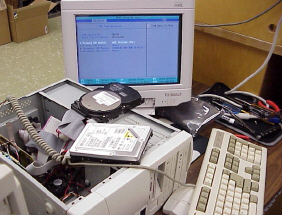 A Personal Tech offers group rates on basic computer training. Please call or email for more information.